Washington, D.C. – U.S. 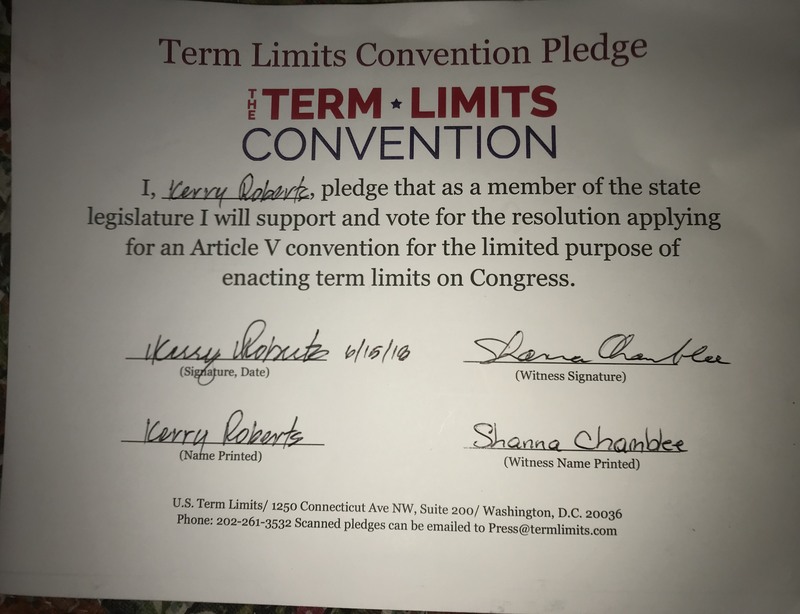 Term Limits (USTL), the leader in the non-partisan, national movement to limit terms for elected officials, commends Tennessee state Senator Kerry Roberts for signing its Article V pledge. 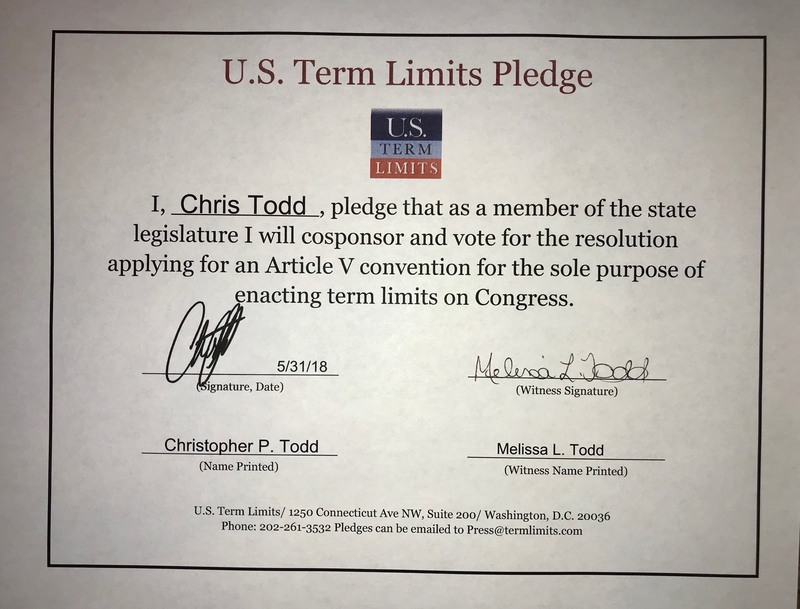 He committed to support a resolution applying for a congressional term limits amendment convention. Pledge signers in the Tennessee House include Brandon Ogles (HD-61), Stacey Campfield (HD-89), Scott Cepicky (HD-64), Randell Stroud (HD-51), Johnny Garrett (HD-45), Dallas Sivley (HD-19), Kelly Keisling (HD-38), Chris Todd (HD-73), Andy Cole (HD-82), and Garry Moore (HD-24), as well as gubernatorial candidate, Kay White. In the 1995 case, Thornton v. U.S. 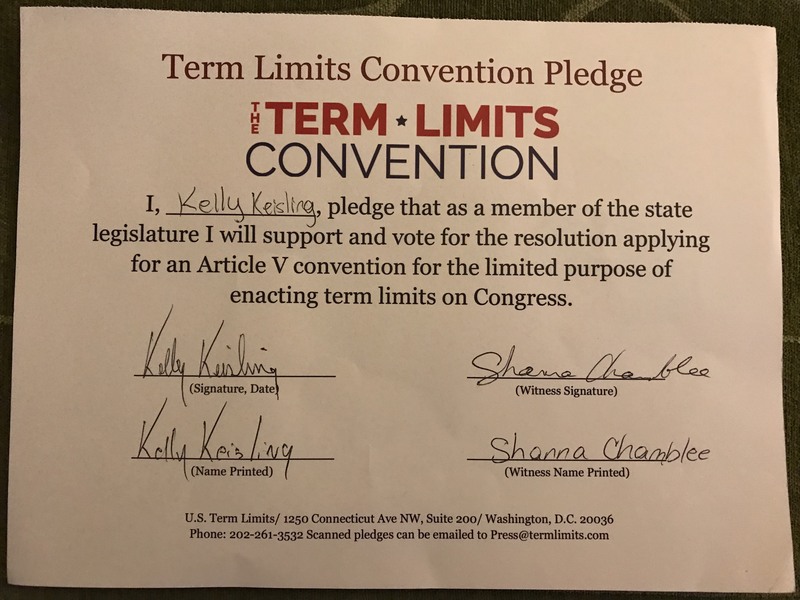 Term Limits, the Supreme Court of the United States opined that only a Constitutional Amendment could limit the terms of U.S. Senators and House Representatives. 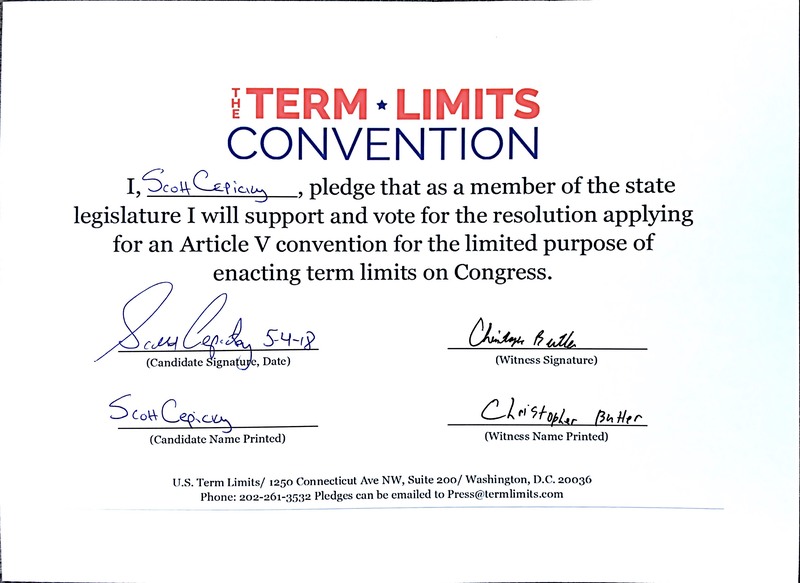 According to Nick Tomboulides, Executive Director of USTL, the best chance of imposing term limits on congress is through an Article V Convention of state legislatures. 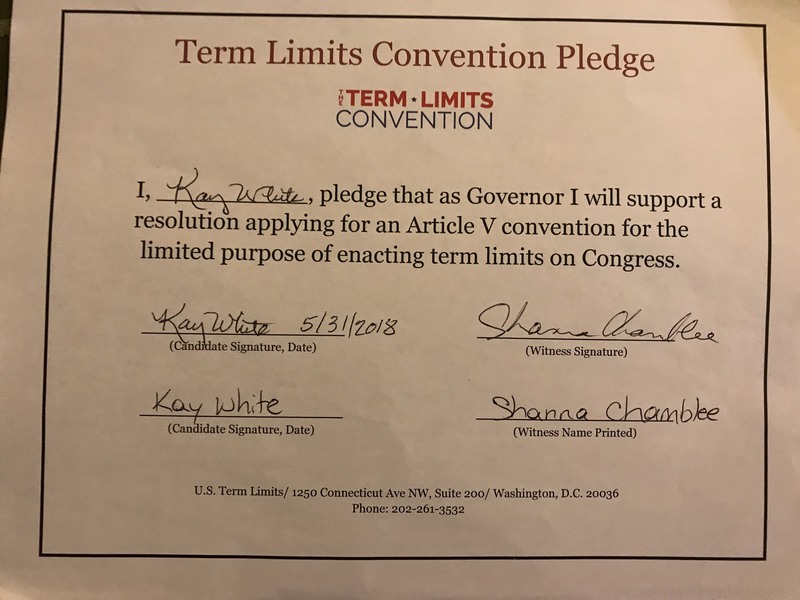 “While we’d like for Congress to take the high road and impose limits on itself, our goal is to trigger the a national term limits amendment proposal convention,” claims Tomboulides. “That is why it is important to get buy-in from state legislators,” he added. Once proposed, the amendment must be ratified by 38 states. 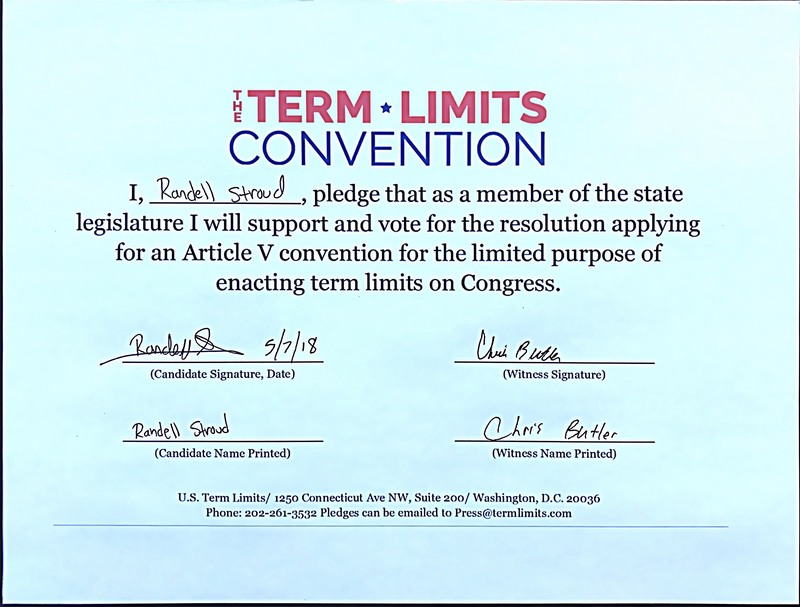 View Roberts’s signed pledge here. View Ogles’s signed pledge here. View Campfield’s signed pledge here. View Cepicky’s signed pledge here. View Stroud’s signed pledge here. 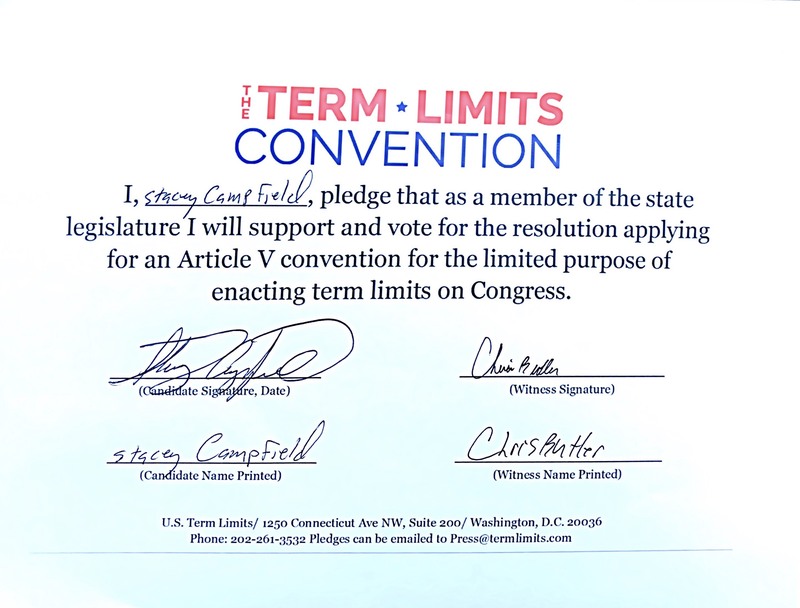 View Garrett’s signed pledge here. 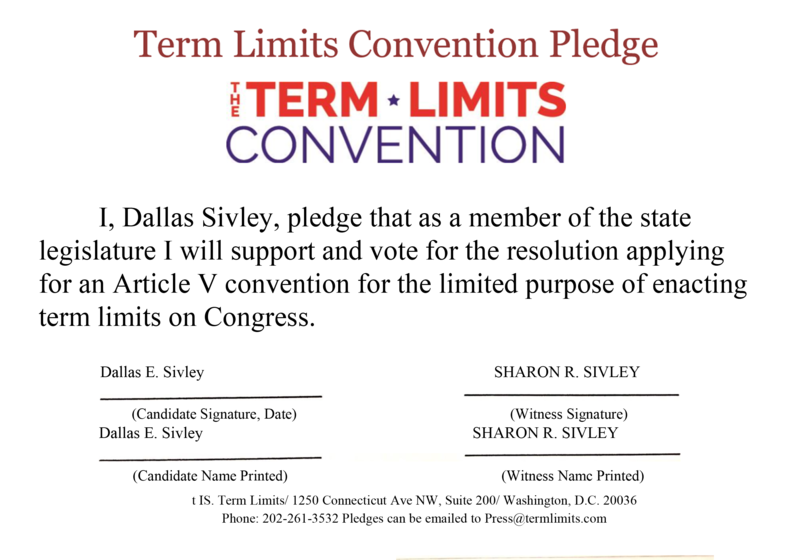 View Sivley’s signed pledge here. View Keisling’s signed pledge here. View Todd’s signed pledge here. 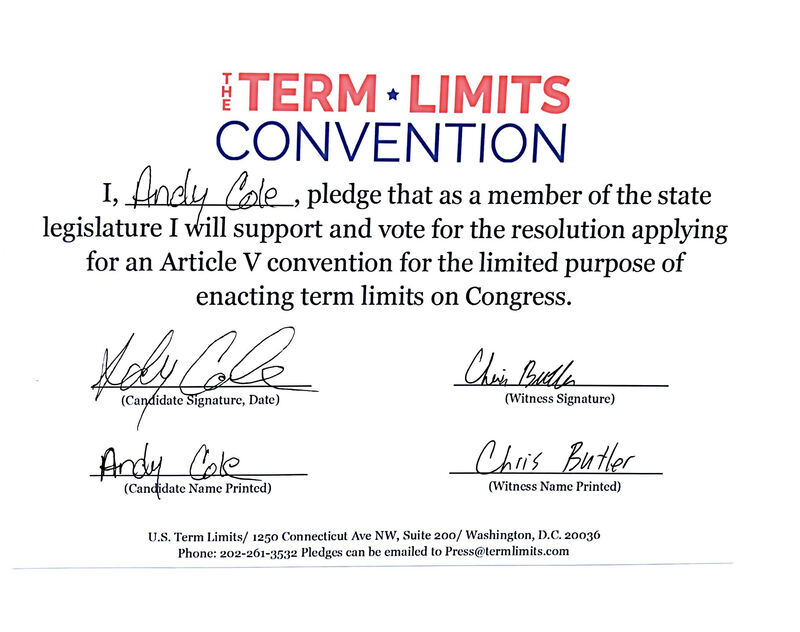 View Cole’s signed pledge here. View White’s signed pledge here.